Let’s face it, for some of us, punching holes in paper from 100+ yards just gets boring after a while. Sometimes you want to change things up a bit, and you just don’t feel like dragging a couple hundred pounds of steel targets and stands out to the range only to have to pack them up again. Or maybe you want to take the youngsters out and give them something safe to shoot at the gives them a rewarding reaction when their .22 pierces it. Well here is something I found on the intarwebs that’s inexpensive and fits the bill quite well. The hangers themselves are made from a durable plastic that doesn’t break easily (thankfully), and works quite well at holding the clays, even in high winds. The clays simply clip onto the hook at the bottom, while the hook at the top grasps onto the rope. String the rope between two points and your good to go! For as simple as this kit is, it really is fun to use. 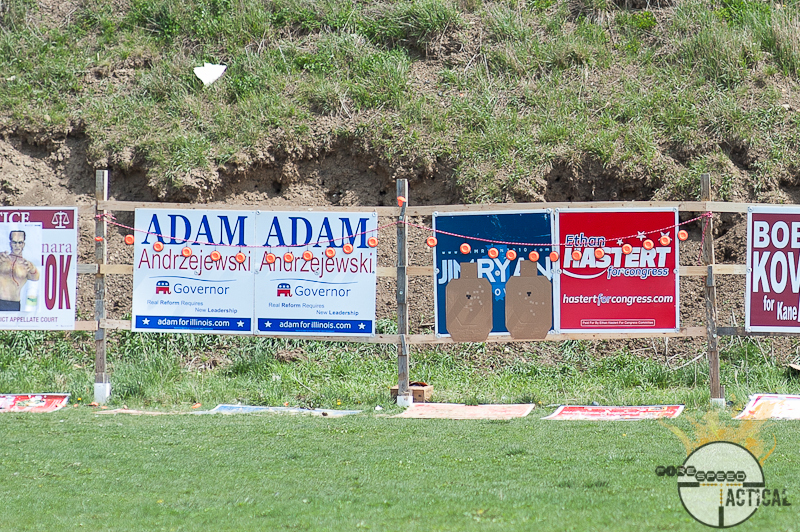 We’ve enjoyed popping clays at our Mosin Nagant Range Day and just general 50 yard 22LR plinking with iron sights. The clays are both challenging and easy to sight in on. Plus having a “reactive target” gives you that instant gratification when you do your part. Occasionally we had some .22LR that would pop a chunk out of the clay without shattering the whole thing, but beyond that, it was easy, inexpensive, fun and highly recommended.